Add a cozy seat in your front yard, in your garden or out in back with a new Amish Vinyl Park Bench. Supportive slatted seat and back. Available with white or ivory rails and choice of black, brown, white or green legs so you can match your outdoor colors best. Assembly is required for this park bench. 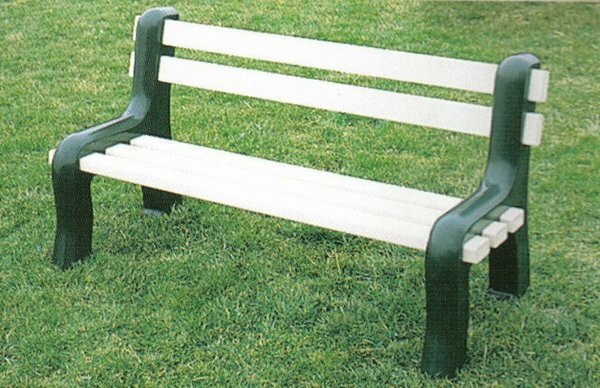 Thie Amish Vinyl Park Bench comes with a manufacturer’s lifetime warranty. Please email or call our team with any questions. Thank you for shopping with DutchCrafters. Shown with white rails and green legs.